For teachers not used to incorporating reading into the curriculum, it can be a daunting task to select age-appropriate texts for use with students. Here are a variety of resources available to help teachers select the most appropriate informational texts for their students. 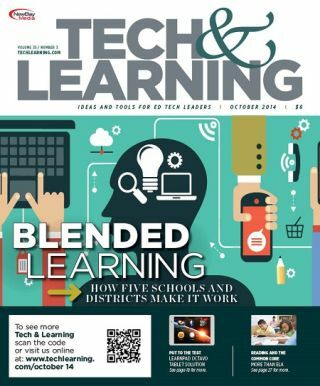 With its combination of online and face-to-face lessons, the techniques of blended learning enables teachers to use data to differentiate instruction and reach each child with what he or she needs. But don’t let us convince you. See what your colleagues are saying. Read how these educators in New York and New Jersey have transformed their libraries into exciting and engaging learning spaces. • Connected Educator Month is Back! • T&L Reader Survey: What is the best social media tool for your PLN? • Should students be allowed to use mobile phones in school? • Classroom Technology: How Would Your School Score?